*** Free Incredibly Entertaining Fantasy! 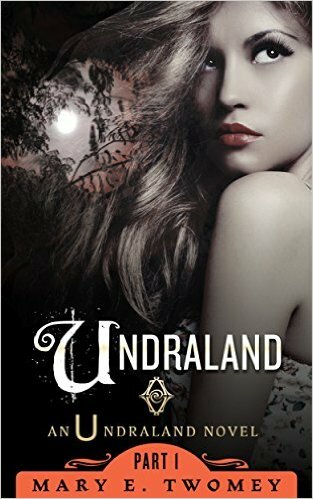 ***Undraland by Mary E. Twomey. Price: Free. Genre: Fantasy, Sponsor, Paranormal, Folklore, Fairy Tales. Rated: 4.4 stars on 161 Reviews. 335 pages. ASIN: B00W2EB844. Reviewers love it: I can’t say enough good things about this book! A snarky heroine, intrepid hero and a fun, fast-paced adventure! Lucy, the leading lady, is strong, incredibly entertaining and has the moxie to back it all up! This was not my first read from this author, and I pray it will not be the last! I enjoyed every minute of the book and it was totally worth it! *Berman’s Wolves (Deal, Not Free) by Gretchen S. B.. Price: $0.99. Genre: Fantasy Deal, Sponsor, Paranormal & Urban Fantasy. Rated: 4.8 stars on 4 Reviews. 278 pages. ASIN: B00JAS1KHK. Reviewers like it: I love werewolves, but this one takes the cake! The writing is excellent and I like the way it was done! I found myself drawn into the paranormal tale from the beginning! So freaky and so good! I would recommend it to fans of riveting paranormal tales! Five paws up! *Free to Good Home by Anne Kelleher. Price: Free. Genre: Fantasy, Anthologies, Short Stories. Rated: 4.9 stars on 12 Reviews. 175 pages. ASIN: B00UOJ5GEW. **The Third Eye of Jenny Crumb (The Jenny Crumb Series Book 1) by Martina Dalton. Price: Free. Genre: Paranormal & Urban Fantasy. Rated: 4.7 stars on 49 Reviews. 206 pages. ASIN: B00ET9WBSW. **Old Nathan (Repeat) by David Drake. Price: Free. Genre: Fantasy, David Drake. Rated: 4.2 stars on 164 Reviews. 188 pages. ASIN: B00B7NQ3X2.